Here at High Speed Training we are committed to helping businesses and their staff maintain high standards of food hygiene. 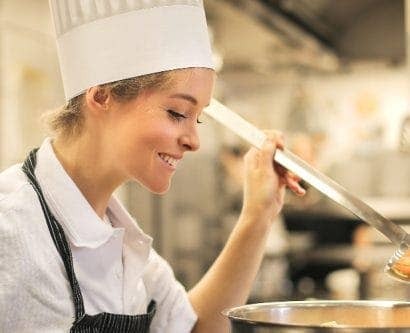 Our training courses have helped over 450,000 learners become officially certified in food hygiene awareness, giving them the knowledge to prepare and serve food safely. We understand the value of communication with our customers. These discussions help us to understand what works well and how we can continue to develop and improve our e-learning courses. Recently, we caught up with two of our long-standing customers Carol & Lester, the proud owners of fish and chip restaurant Welcome Stranger. This conversation gave us insight into how the company and its employees benefit from taking our training and how it helps them to manage food hygiene risks. Welcome Stranger is a well-established fish and chip restaurant in Bodmin, Cornwall. Lester and Carol have owned the family-run restaurant since 2009 and between them have decades of experience in the industry. In 1965, Carol’s parents began selling fish and chips, using a converted horse box with a coal fire range. Similarly, Welcome Stranger make an interesting use of space; the restaurant is a converted chapel that was originally built in 1843. Providing high quality food and service is at the forefront of the company’s mission. As a result, Welcome Stranger has been recognised with numerous awards. This has included the NFFF Fish and Chip Quality award and the Taste of the West Gold awards since 2016. Additionally, they were amongst the top twelve Fish and Chip Restaurants in Great Britain in 2015, and in the top twenty in 2018. Welcome Stranger are also conscious of their environmental responsibilities. They ensure that their fish are farmed from sustainable sources and are MSC Certified. Where possible, they source their products from Cornwall. Therefore, their food is fresh, they support local businesses and they keep food miles to a minimum. High Speed Training have provided Welcome Stranger with a decade’s worth of training. 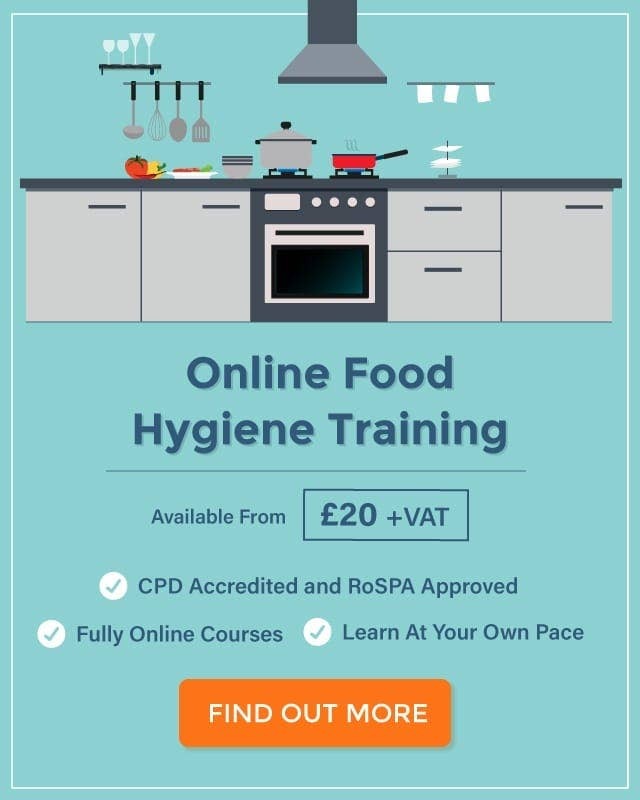 This has mostly included Level 2 Food Hygiene for Catering, and, more recently, Food Allergen Awareness courses. What Does Food Hygiene Mean to Welcome Stranger? We asked Carol what food hygiene means to her and how Welcome Stranger manage their responsibility. As a family-run business, high food hygiene standards have been passed down from generation to generation as a core value. Similarly, all employees know what is expected of them and exactly how to ensure they maintain best practices. It is worth noting how Carol indicated that high food hygiene standards are considered to be just as important as food quality. Employees must follow safety procedures to avoid any breaches in hygiene standards and ensure food is “properly cooked and served”. All employees need to take practical training to ensure high standards are maintained. One of the best ways to establish this knowledge is through online training which provides employees with the theory that they can implement in their working environment. An added benefit of e-learning is the ability to refresh knowledge whenever and wherever staff need. EHOs often arrive to inspect food businesses unannounced. These visits allow the officer to assess the food hygiene practices of the establishment on a typical day. Surprise visits prevent employees from carrying out any preparation, such as cleaning, that would not be done otherwise. At Welcome Stranger, staff proactively assess their own food hygiene practices to maintain the highest standard possible. As a result, everyone is prepared for an unexpected EHO visit, consumers are kept safe and good practice is just generally encouraged. Carol is proud that they always “go that extra mile” with the measures that put customer safety at the heart of what they do. Welcome Stranger monitor procedures using both daily and weekly checklists to guarantee everything is cleaned, maintained and checked prior to food preparation. They can then keep on top of who has done what and when, and plan which employee is responsible for certain tasks. The checklists are essential for keeping staff accountable and the records demonstrate to the employer that staff are doing their job properly. These can also be used as evidence during an EHO visit. Our Self-Inspection Checklist will help you conduct your own internal audits and prepare for those all-important EHO visits! Technological developments in the food industry have made it even easier to prove due diligence. Due diligence is the ability to prove that your business has done everything reasonably possible to prevent food safety breaches. You can show written checklists and online records to an EHO as suitable evidence of this. Welcome Stranger use an online system called Checkit that allows them to probe their food and digitally check holding temperatures. Employees can easily access these results, anywhere and at any time in the restaurant. Having these procedures and checks in place is one of the best ways to monitor food safety. Every employee must know how they work and what they are personally responsible for. At Welcome Stranger, this preparation clearly pays off. Most recently, the Food Standards Agency (FSA) gave Welcome Stranger the highest possible food hygiene rating of 5. The restaurant’s dedication to high food safety standards through checklists and thorough training helped them to achieve this. We asked Carol what, in her experience, the food hygiene rating means to customers and her business. A high food hygiene rating “lets customers know that you are competent in what you are doing”. 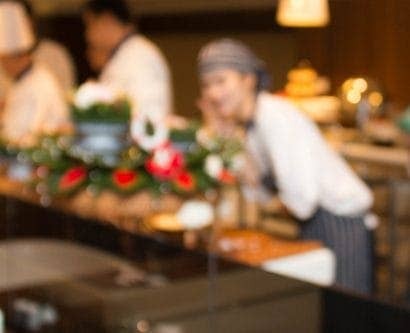 The nationally recognised rating provides reassurance to diners that where they are choosing to eat does, in fact, take food safety as seriously as would be hoped. Carol spoke of a high rating “attracting new customers as they would see that you are a trusted restaurant”. The rating can affect profits, another reason to ensure food hygiene standards are maintained at all times. If staff briefly let standards slip the local authority could reduce their rating, potentially causing a loss of customers and profits. Customers are becoming increasingly conscious of food safety and what restaurants are, or are not, doing to ensure they are maintaining high standards. Many are taking a proactive approach of looking up an establishment’s food hygiene rating before dining. You can find this information on the FSA website. Carol strongly agreed that it should be compulsory for establishments in England to display their rating. To her, the scheme provides customers with “assurances that the establishment has a certain knowledge on food hygiene and food safety”. Essentially, the scheme works as a trust signal. For Welcome Stranger, the rating reinforces the company’s status as a long-standing, award-winning business, which is an image that potential customers will be attracted by. We discussed with Carol how attitudes to food hygiene have changed over the years. She acknowledged the increase in dietary requirements, such as coeliac disease, that have changed customer expectations. All employees need to have an awareness of allergens. Staff need to know the possible severe consequences if someone with an allergy unknowingly comes into contact with the allergen. Crucially, they need to know how to prevent cross-contamination and understand company procedures on this. 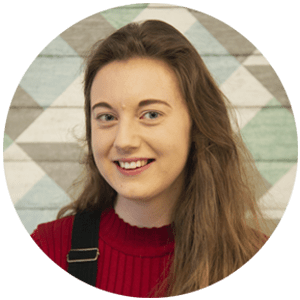 Indeed, what is one of the most noticeable things when first looking at Welcome Stranger’s website and customer reviews is how seriously they take food allergens and dietary requirements. This is a key aspect of food hygiene that is important to ensure customers are kept safe when eating out. 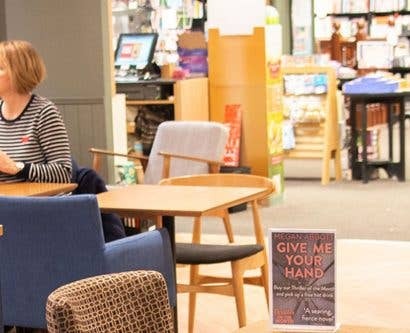 Their website clearly has a section dedicated to gluten-free food, giving information about how they understand and carefully cater for those with dietary requirements. Crucially, the webpage states that “all of [their] staff are trained” in allergen awareness and to just let them know if you have specific requirements. There is information about the gluten-free batter, how it is also dairy free, and a picture of their gluten-free and vegan fryers. Welcome Stranger’s clarification reassures customers that employees take allergies seriously. 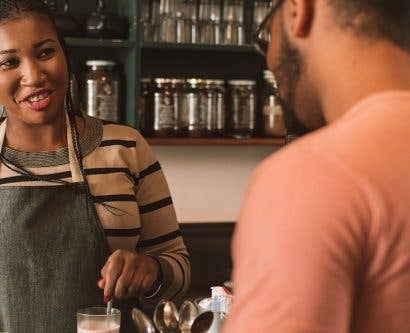 Managing this risk means that there is a very small chance of any cross-contamination and of customers then falling ill.
What Can You Learn From Welcome Stranger? If you want the best chance at attaining a 5 in your food hygiene inspection, following the good practices of Welcome Stranger will stand you in good stead. Preparation and organisation are key for both customer safety and gaining a good rating in a food hygiene inspection. You need to make sure you and your colleagues understand exactly why they need to take food safety seriously, and what everyone is responsible for. A good place to start with this is to ensure all employees have taken the relevant food hygiene training. 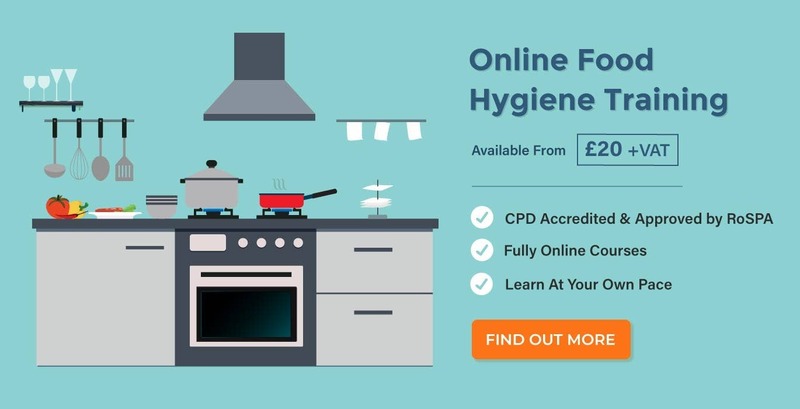 You can view the online food hygiene courses we offer here at High Speed Training, which are approved by EHOs. Health and Safety for Food Handlers – What Should You Look Out For?